Last updated: November 1, 2017 by Rootwell Products Inc.
Did you know that some desert plants can survive in cold climates? Months ago, in my cold and rainy Michigan town, I was shocked to discover a neighbor had a cactus bed apparently thriving on the street side of their house. Could this possibly be cactus, I wondered? It certainly looked like cactus: spiny lobes, low-growing. I couldn’t imagine how this desert plant would survive here, much less thrive and look very healthy. After all, in the not-so-distant past in this state, we’ve had winter temperatures of 10-30 degrees Fahrenheit below zero. It turns out that many cacti – actually succulents – are cold hardy. Moreover, cacti are a diverse bunch. Many varieties are used to temperatures down to zero and some much lower. Keep in mind that some of these plants are native to mountainous regions in the Western hemisphere. The places they are from, while very dry, are usually not warm. Therefore, the cold is not so much of a problem for an outdoor cactus as is the moisture. As you will see, planting cacti in your garden can give you a beautiful maintenance-free spread with fascinating shapes and flowers (yes, flowers!). Many cold-hardy species are native to Mexico and North – Arizona, New Mexico, and West Texas with several of the varieties found in the western Great Plains from Oklahoma into Montana and the Dakotas. Additionally, there is even one that’s made its way up into the southern edge of Canada! They are found in the mountains and high plateaus of these states. The mountains of Southern Argentina and Patagonia also host mountain, cold-hardy cacti. Because there are 100 or more genera of cacti, I want to give you the names of the cold-hardy species so you don’t try to buy potted cacti in the grocery store and try to plant it in your garden. Escobaria vivipara, zones 4-9 is very wide-ranging. It’s a good choice for starting out if you have no experience gardening with cacti. It’s long-blooming, a good adaptor, and clusters for a nice effect. #1 Escobaria vivipara v. rosea – which is native to the mountains of Nevada has a huge purple flower. #2 Escobaria vivipara v. bisbeeana has a small stem, white spines, and pale pink flowers – it’s from southeastern Arizona. #3 Escobaria missouriensis, zones 4-9, has clusters of greenish-yellow flowers and adapts to gardens quite well, mixing with non-succulent prairie plants and wildflowers. #1 Echinocereus triglochidiatus – can do well in zones 5-10 and has a vast array of subspecies. It can vary quite a lot by geography. Some of the subspecies put forth large clumps with spiny stems and some are small and nearly spineless. This is an orange flowered species. The “White Sands” variety for zones 5-9 has red flowers. #2 Echinocereus viridiflorus – Zones 4-9. The green flowered hedgehog. They have yellow to green flowers. In some geographical regions, the spines can be colorful bright red and white. Another great thing is they can tolerate higher rainfall and are easy to grow. #3 Echinocereus reichenbachii – These are very showy cacti for zones 5-10 with comb-like spines and are very gardener-friendly. They can be pure white to pinkish brown and grow bunches of magenta flowers. It’s a faster-growing cactus and blooms at an early age, which can be nice as cacti are very slow-growing generally. If it likes its surroundings, it will seed easily. #4 Echinocereusfendleri – Another variety with huge magenta flowers and heat tolerant. In addition, another desert plant that is surprisingly used to harsh conditions and cold climates is the agave. Interestingly, this plant is native to the United States, and it’s the plant from which tequila is made. Additionally, agaves range in size from the side of your palm to huge “bush” like plants with bold shapes. 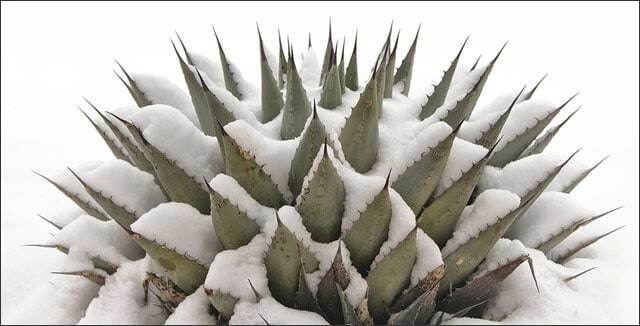 Native to the high plateaus of Flagstaff, Arizona, the “Parry’s Century Plant,” and related “Camp Verde” are the largest and most cold hardy agaves known to man. “Harvard’s Century Plant” is another of the largest agaves you could grow. Make sure to give it a lot of room, as its wide and spiky leaves stand straight out at an angle, and grow very large. #3 Agave utahensis v. kaibabensis a larger and prettier version of the agave utahensis plant. If you are attempting to grow any desert native plant in a colder, wetter climate, the first thing you need to know is that they thrive in dry conditions with full sun for as much as possible of the day. In addition, most of the time, they will need to be planted in raised beds. If you have sandy soil already – mix native soil with rough sand. It is best to try to mimic the rocky terrain that cacti and agave like best by adding in some large rocks. Cacti thrive on the alkaline soils found in the desert. Under those circumstances, you may need to add a trace mineral fertilizer and phosphate at recommended rates for the native soil and sand mixture. However, agave plants generally don’t need to be fed. 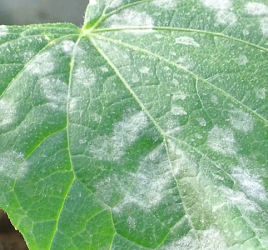 However, they can benefit from a light, slow-releasing fertilizer at the beginning of growing season. Other concerns for desert plants are to remember that they are slow-growing. As a result, make sure they aren’t planted with other plants that may overtake them while they are growing at their own pace. Some species do very well with non-succulent plants that are native to the same regions. For example, wild grasses and flowers or European plants that thrive in the same type of climate. Now you know that cold tolerant desert plants like cacti and agave can be grown in the cold, take a look at some of the beautiful forms and colors available from these hardy plants. You might find that adding a few of these beauties outside transforms your garden into the modern and fascinating space you’ve been wanting. Finally, to ensure your plants are receiving the proper nutrients and water to the root zone, consider installing Root Starter Sticks.